Willem has had a pretty good life ever since he was rescued from a zoo in Bangkok, Thailand, 12 years ago. Since, he's enjoyed the freedom and safety of the Wildlife Friends Foundation Thailand (WFFT) sanctuary. But in all the years he's been at the refuge, he's never known true love. 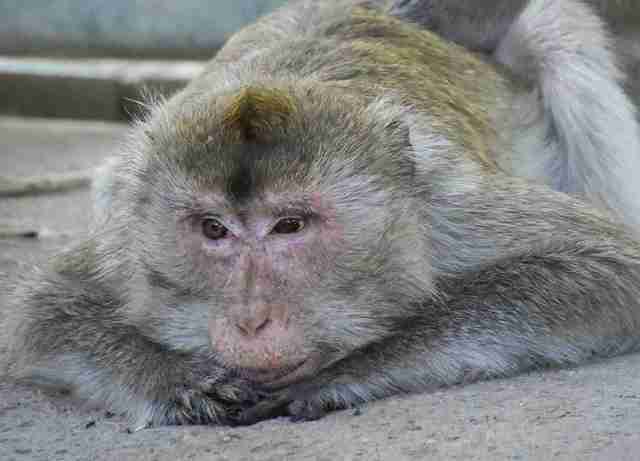 But when Willem got sick recently, and had to be put in quarantine until he got better, he had no idea that the macaque in the enclosure next to him would stick with him for life. Her name was Mam. Mam spent over a decade on a chain until she was finally rescued in January 2016. 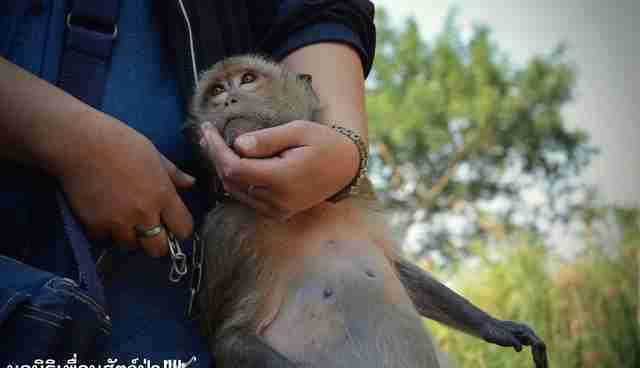 Rescuers believe Mam was caught in the wild as a baby and sold as a pet. 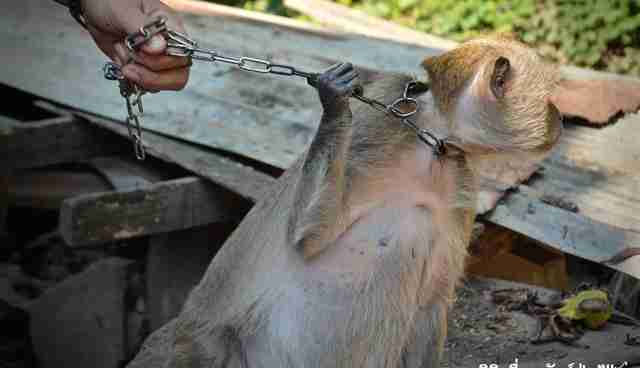 Her owner kept her chained up outside his house until he passed away. 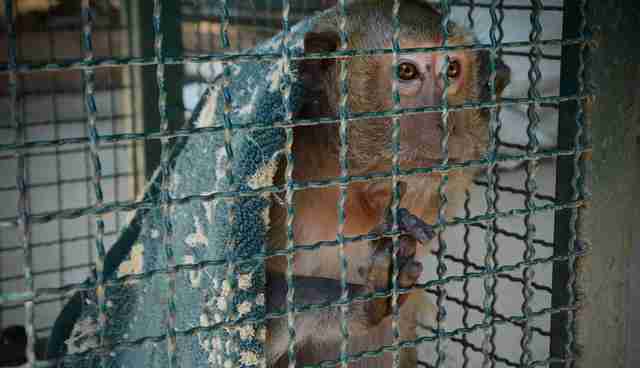 When rescuers came to sever Mam's chains, her plight was clear - she hadn't seen another macaque in 12 years. But that was about to change. "Mam went through a quarantine period before being slowly introduced to Willem, first being housed in an enclosure next to him so they could get to know each other," WFFT wrote on Facebook. "[A]fter weeks of positive interactions, we decided to allow them to have full contact by opening the door between their enclosures." What rescuers observed when Willem and Mam finally met warmed everyone's hearts. 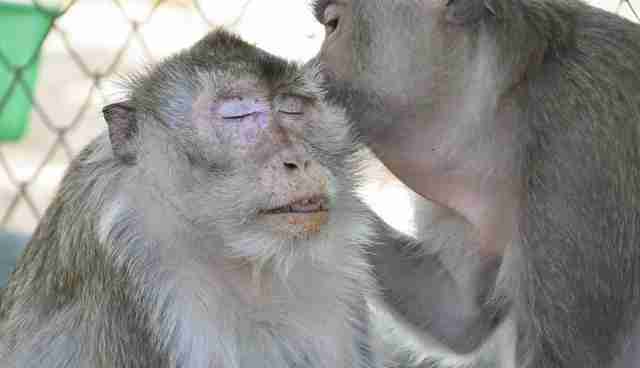 Willem and Mam started grooming each other, a really sweet sign, since it's more than just practicing good hygiene - it's actually how primates build trust and bond with each other. "They instantly became very close friends," WFFT wrote. "[They] are constantly following each other around the enclosure, grooming one another for most of the day, and happily sitting down at meals times and sharing their food." Willem and Mam's love story proves what we know is true: It's never too late to find love. To learn how you can help WFFT's efforts to save animals, click here.